Rejection is tough enough to deal with. Especially when you know you earn more per day on your contract rate than the advisor who’s turned you down does in a week. When you walk into a bank straight off the street, in most cases you won’t be dealing with a senior IFA. Instead, you’ll be trying to explain to a fresh-from-training clerk that you’re a contractor. You own your own limited company, earn £400 per day, which amounts to a hefty gross annualised contract income of £96,000. We guarantee that 99% of branch clerks or call centre staff won’t grasp any of that. If they latch onto anything, eager to impress you, their boss or make a sale, they’ll ‘hear’ that you’re self-employed. They just don’t get contracting. And you definitely don’t want a self-employed mortgage when you have a £100k contract as a bargaining chip. Have contractor mortgages always been so elusive? Once upon a time, several lenders offered bespoke mortgages for contractors. Abbey, for instance, was what we call a “contractor-friendly” mortgage lender. But since the credit crisis, Abbey (like many other lenders) has tightened its lending policy. There are, however, some lenders that have retained (or grew) balls big enough to take on contractor mortgages. They’re few and far between, often not household names and the majority don’t deal with contractors direct. Rather, they’re not equipped to deal with contractors who walk in off the street in the hope of finding that elusive home loan. Something had to give. It’s not as if contractor lending criteria is top secret. But we’d forgive you for thinking so if you’ve banged your head against a bank’s brick wall often enough. So, a devout few specialist contractor mortgage brokers set out to educate lenders. In our eyes, a contractor on a six-month contract was no more of a risk than a super-employee who gets head-hunted twice a year. Indeed, it’s many of these employees who decide they can make far more money as a self-employed entity. Thus, they create a tax-efficient limited company and contract out their services. We worked with underwriting teams to help them identify what criteria they could use from such contracts. True, we’ve not been able to convince all lenders that contractors are low enough risk for mortgage lending. But the huge effort exerted in negotiating special income underwriting terms has paid dividends. A select few High Street lenders – and some not so well known – have a new product: contract-based underwriting. It’s this that enables specialist brokers to secure competitive mortgages based on your contract. Not your accounts. Not always your continued employment history. Your contract! Why do contractor-friendly lenders use specialist brokers? By now, we hope it’s clear why you don’t have much joy on the High Street. Underwriters are willing to accept the risk associated with contracting. But they won’t burden in-branch or call centre staff with that responsibility. As part of the bargain, if you like, underwriters also requested something from us. Only fair, right? It goes like this. If they’re going to accept applications from contractors, they must only contain necessary information. In other words, they don’t want to have to deal with a lot of unnecessary bumf. So specialist brokers have to request the necessary information from the contractor and break it down. The result of this analysis will form the basis of the mortgage application. It will display the contractor’s full earnings potential, including retained profits. By extracting the information thus, it also helps the specialist broker. How come? Because they deal with contractor friendly lenders every single day. Seeing the details laid out will help identify which lender’s products suits a set of given circumstances. Depending upon said criteria, the mortgage loan offer could be as high as 4-5 times the annualised contract rate. 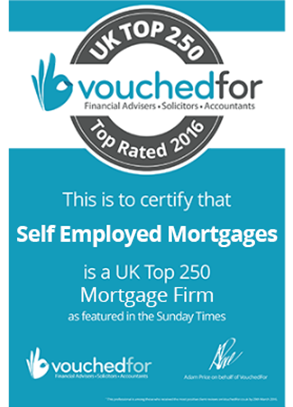 To give you the best chance of mortgage success, you must appoint an experienced specialist broker. Their in-depth knowledge of the contractor market and relationship with underwriters is essential. A good pointer is to check whether they offer a “whole of market” service. 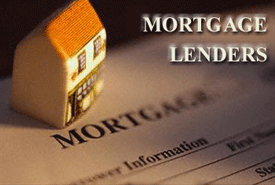 If so, they can advise you on and arrange a suitable mortgage from all lenders across their entire product portfolio. They should also offer mortgages based on your contract rate alone. This is regardless of whether you have your own limited company or work through a payroll umbrella company. Does it sound as if it’s a case of “not what you know, but who you know?” Maybe, but don’t underestimate the role of underwriters. It’s they who make or break your contractor mortgage application, not the High Street junior.